The Hailmann staff knows the way to win in the game of education is to hold the Wild Card, and this year, they are going all in. The Huskies are turning the stereotypical look of school on its head by taking part in the Wild Card Challenge. 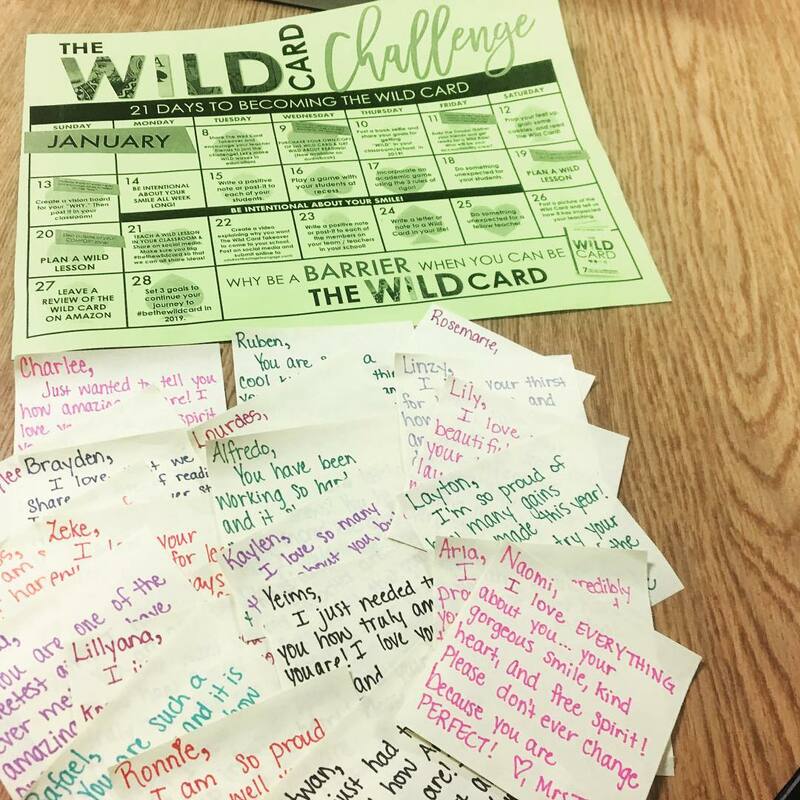 The challenge is from the educational book The Wild Card, and with it being the one year anniversary of the book, the authors were looking for a way to celebrate. The challenge, along with the book, looks at infusing creativity, engagement, and connection back into schools. 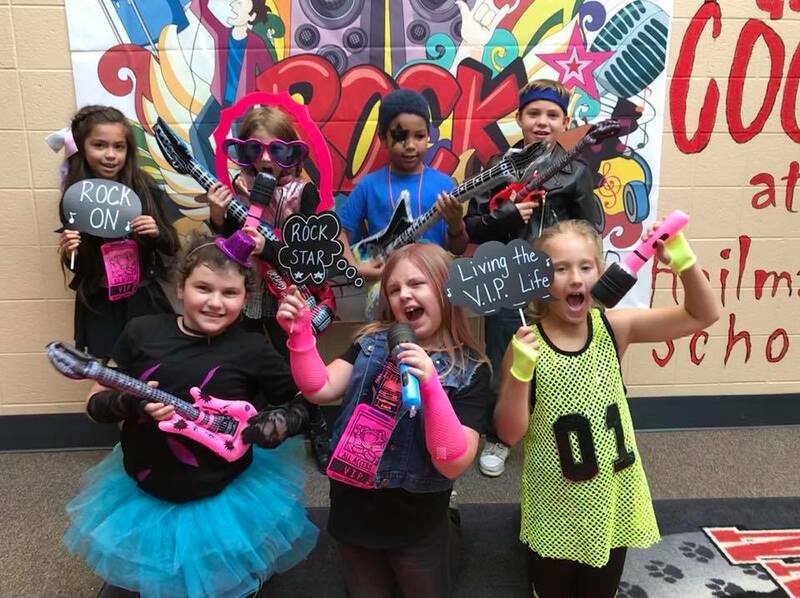 Hailmann students rock out the “Rock Your School” event. 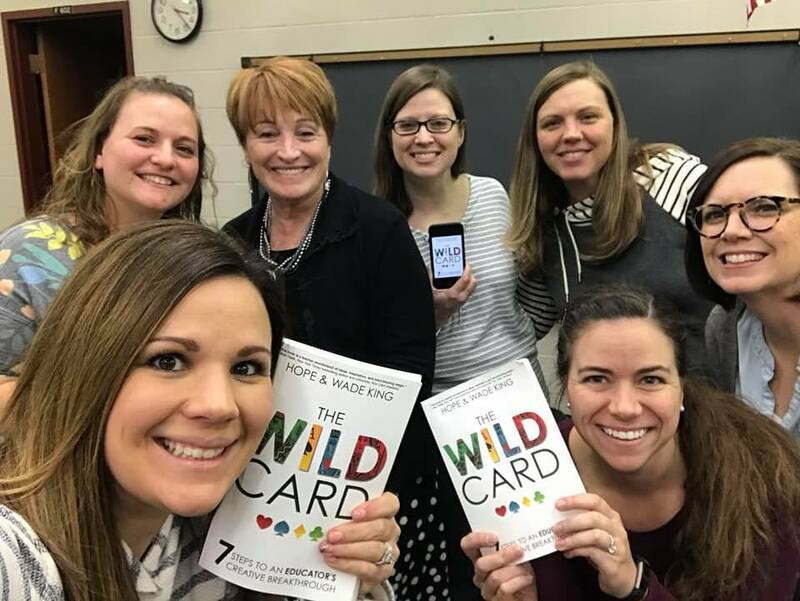 Last school year, Hailmann teachers Mrs. Banic and Mrs. Scroggin attended the “Get Your Teach On” conference put on by the authors of The Wild Card. The conference was so inspirational and impactful, Banic and Scroggin held a professional development day to share the information they learned and to show how it had revolutionized their teaching. Since then, the Hailmann staff has been creating magic in their classrooms and forming unbreakable bonds with each other and students. This year, the Huskies have had their first Outdoor Classroom Day, participated in the “Get Your Teach On Rock Your School” event, had numerous classroom transformations, implemented a new school song and campfire meetings each week to teach life skills and just celebrate each other, and started non-academic after school clubs to get more students involved in school activities and a Student Greeter Program, where students greet each other in the mornings to begin their day with a positive interaction. 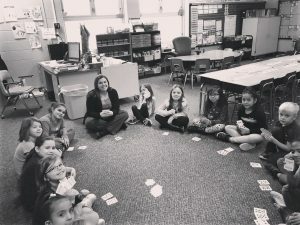 The 21 day challenge aims to add creativity and connection to schools. Then came the Wild Card Challenge. It is a 21 day challenge to educators that pushes them to find ways to support each other and to make the day memorable for the Husky students. 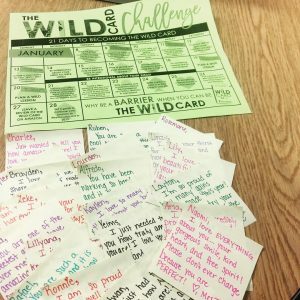 Challenges include having teachers write notes to each student in their class to doing something unexpected for a fellow teacher. The key being all of this is being intentional about creating a positive culture and environment. “This challenge has changed the way I look at teaching. It’s encouraged me to take our state standards and present them in a fun and engaging way. After teaching many years, it’s easy to get mundane and routine with your teaching style. This program has helped me ‘spice it up’ and made me remember why I started teaching in the first place!” Mrs. Demmon, Hailmann teacher, said. Besides all of the positive interactions and changes the challenge brings, it also puts Hailmann in the running to have a Wild Card Takeover, which would bring The Wild Card authors Hope and Wade King to La Porte for a professional development day with the Husky staff. Mrs. Demmon plays a class game of “Go Fish” for inside recess. The Hailmann staff is a family, and this challenge and initiative is only strengthening that. “We support and encourage each other in every aspect of our lives (teaching, health, social, etc). We workout together, we celebrate achievements together, we lift each other up when we are struggling, we just live life together!” Demmon said. The Husky students, at the core of all of this, are the biggest beneficiaries. “The students reactions to our new outlook on teaching is worth more than any test score! Huskies are here to make this world AWESOME,” Banic said. The deck is stack, and Hailmann has a firm grip on the Wild Card.